Florida fly tier Taylor Topliffe brings us this excellent "Backcountry Bug" - a great fly for snook, redfish, baby tarpon, and more. This very "buggy" pattern works well in a wide variety of situations. Lightly weighted with bead chain eyes, this slow-sinking fly is solid sender for sight casting to laid-up fish, picking pockets in the mangroves, or as a general searching pattern. Soft marabou tail has lots of action in the water, and a monofilament weedguard keeps you fishing effectively in brushy areas. All colors feature a classic "Red Head" accent. 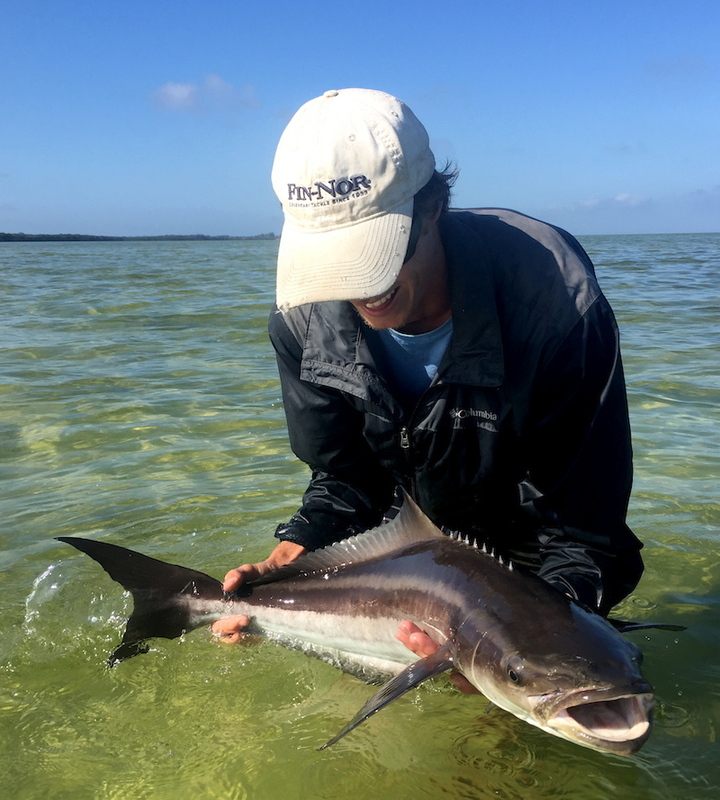 Taylor's "TNT" fly has produced some truly explosive action in the backcountry including the Cobia seen below! Click here to see a top view of the Black color. $6.99/ea. The TNT Backcountry Bug flies are approximately 2 1/2 inches long (6.5 cm). Tied in the USA by Taylor Topliffe on the Mustad C68SNP Tarpon hook in size #1.